High Roller means huge fun! The all new Original Fort High Roller for 2016 is a fun and exercise extravaganza! 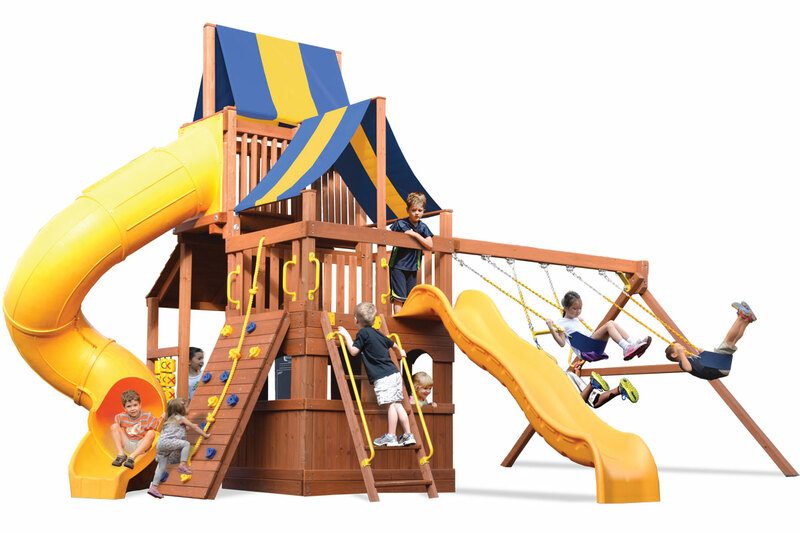 This playset features a 2-tier decking system fully loaded with lower level playhouse, cafe side table, multi position swing beam, super ride slide, rockwall, and much more. Parents will appreciate the highest quality, materials, and play value while the kids will have endless fun and unplug for the afternoon!